– I read for pleasure, and some for reviewing. Often the books I’m supposed to be reviewing will cross over into that pleasure category, but it’s not often that a book I’m reading for pleasure gets me so excited about literature and writing and the writer who made it that I’m motivated to put pen to paper (or finger to keyboard) and tell the world what’s so wonderful about it. 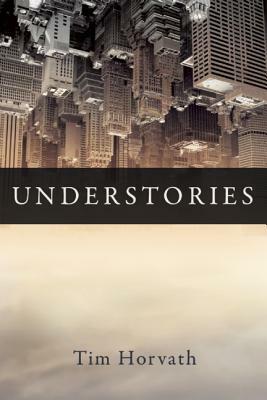 Tim Horvath’s first short story collection, Understories, is a that kind of wonderful. It is a cat’s cradle of people and places and a mad scientist’s bubbling test tubes and levers, woven together and delivered by a writer possessed of an intense intellectual curiosity and playfulness. Here we have stories that perform not only as virtuoso pieces of writing, but as mirrors held up to humanity, filigreed with warmth and compassion for the poor souls mired in the chaos of this modern world. Here we have stories of Gauguin in the land of the the midnight sun, of Heidegger roaming the Black Forest, of single dads and burned-out mothers, broken-hearted projectionists and misunderstood umbrologists–all built within in a framework almost like an updated, tongue-in-cheek Invisible Cities. You know, Martin, it’s strange. Trees have always defined the forest for me. I climbed in the canopy, because I thought that’s where the best, truest view was. But in the wake of the Storm of 1938, I find that the little plants of the understory have become very dear to me, dearer than I could have ever imagined. I will not burden you with their Latin names but I do urge you to take notice of them the next time you are out walking in the woods. Not infrequently shadows do flirt with color, this being one. Because of how the moon moves through Earth’s shadow, coupled with the light filtering effects of Earth’s atmosphere, the moon appears as blood red as Mars. The cold metal of my car’s hood yields a bit as I lie back. I want to shout through the neighborhood, pound on doors–rouse the mesmerized viewers of Lost (are they any less lost than the characters on the show?) and the compulsive checkers of email. Our talking is a kudzu of carotids in which we lose our marbles. Hours later, they tumble out as we are snoring, awakening us one at a time, hard little tumors we flick underneath one another. By morning we lie like border states whose boundaries are rivers, anomalously straight, canals funded by nature. Wonderful. And there is no pretension here, no unnecessary artifice or ornament, despite the fun Horvath is obviously having. Every word is in service of the story. Each of the Urban Planning Case Studies, for example, describes in bright color and rhythm, like experiments played out to a bizarre but inevitable conclusion, the way we live with others. Or rather the way we might live with others, in another kind of city not too different from the ones we live in now. Understories may look, at first glance, like a strange collection of experiments and exercises, no doubt brilliantly conceived and executed. But when we turn the first page and dive in, we find these shadow-obsessed, box-wielding, sometimes baffling characters are ultimately just fathers and sons, just husbands and wives and lovers and friends – just people, stumbling around in the dark in the same uniquely human way. Understories is available from Bellevue Literary Press here, or get it from an independent bookseller here.